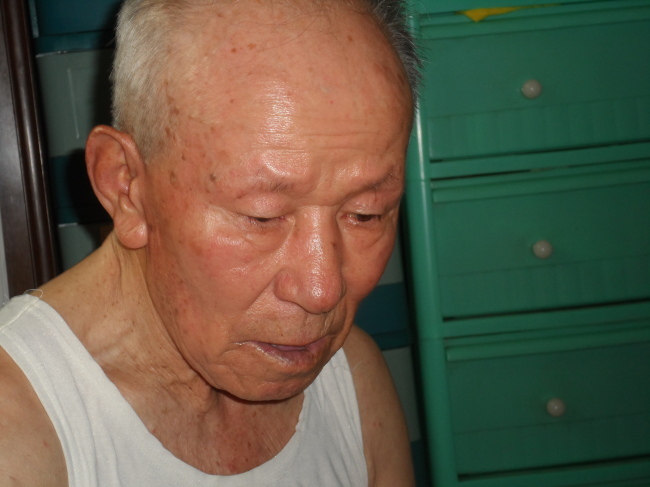 When Seo Jeong-yeol, now 90, was admitted to a military hospital for an injury in 1953 during the Korean War, he was shocked to learn that he had been enlisted under a different name the whole time: Kim Chil-seok. Amid the chaos of the war, records were lost, families were separated, and the then-28-year-old staff sergeant became someone else. As far as records showed, Seo never served in the Army. He was entitled to no benefits and he was forced into poverty. Instead of a medal, the war left Seo with impaired sight, hearing, metal fragments in his skull and memories that haunt him to this day. The injury that crippled Seo for life came on a fateful night in 1953. The previous day, a successful reconnaissance mission by his platoon had eliminated some North Korean threats. He had no time to relish the moment of glory, as his platoon was locked in a fierce battle with the North Korean army in a bid to take the high ground at a frontline battleground in Gangwon Province. “There were bullets everywhere. We could not see anything. We were in tears, but we fought on,” he said. “There wasn’t any support from our side so I told one of my men, ‘Get our signaler!’ and he told me, ‘He’s down’.” He crawled toward the signaler, who was bleeding out from a shot to the chest. Remorse, however, was not a luxury granted for those fighting for their lives. As Seo and his men progressed, a natural foxhole of rocks separated them from a group of North Koreans spraying bullets in their direction. A landmine had already taken the platoon leader’s legs, leaving Seo to lead the men. In the midst of a grueling battle, pain overtook Seo as a bullet pierced his chest. Just as he covered the wound with his bandana, an ear-splitting explosion occurred right in front of him as a shell went off. The explosion momentarily deprived him of his vision and hearing, during which he was left to ponder: is this it? “I couldn’t come up with any thought. In that moment, I swear I saw some kind of a spirit descend onto the battlefield to tell me, ‘It is not your time yet,’” he said. The next thing he knew, his maimed body was being dragged away. The injury had claimed the hearing in his left ear as well as the vision in his right eye. He spent the next few months gushing blood and pus at a military hospital in Busan. Eventually, his injury pushed him to be honorably discharged the following year. Only it wasn’t “Seo Jeong-ryeol” who was honored, but “Kim Chil-seok.” Despite decades of claims and complaints, he was never able to prove that the two were the same person. Last year, Seo’s children filed a complaint to the Anti-Corruption and Civil Rights Commission, who then requested the Army to set the record straight. Evidence including medical records, his testimonies and the fact that “Kim Chil-seok” was listed as the legal guardian of Seo’s children in their elementary school report card were presented to the military authorities. On Tuesday, the ACRC announced that Kim Chil-seok’s records were corrected to Seo Jeong-yeol. He was also registered by the Ministry of Patriots and Veterans Affairs as a national meritorious man, entitling him to state compensation, starting this month. It was a small comfort for a man deprived of his rights for over half a century. For over 30 years, he made a living by collecting scrap paper. The injury also affected his brain and gave him anger management issues, and ultimately family issues as well. “Yes, I was disappointed that I was neglected, but I don’t resent them (the military). It was the war, they had no choice,” he said. Seo’s name was only one of many others that got mixed up during the confusion of war. “Last year when I went to visit the Army headquarters, the cab driver asked me, ‘You’re here because your name got mixed up during the Korean War, right?’ Apparently, there had been countless more like me,” he said. Seo now lives in a tiny apartment in Incheon, yearning to one day be reunited with a former comrade, a soldier who he ordered to go behind the North Korean troop line during the fateful Gangwon battle.